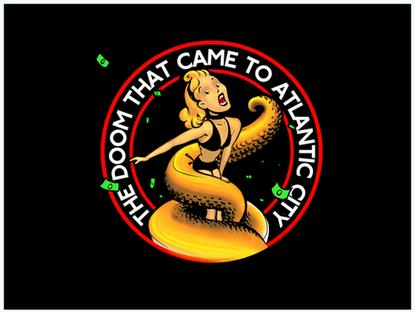 The creator of the board game, The Doom That Came to Atlantic City, raised more than $122,000 on Kickstarter but spent the money on personal expenses, the U.S. Federal Trade Commission charged on Thursday, June 11, 2015. Erik Chevalier, doing business as The Forking Path, asked for money from individuals to produce a board game called The Doom That Came to Atlantic City, but cancelled the project more than a year after the May 2012 funding campaign, the FTC said in its first consumer-protection complaint involving crowdfunding. Chevalier promised refunds to backers, but many of them have not received the money, the FTC alleged. In a settlement announced by the FTC Thursday, Chevalier has agreed to refrain from any deceptive representations related to crowdfunding campaigns in the future. It doesn't appear that backers who haven't yet received refunds will be getting them. The FTC's settlement order imposes a $111,793.71 judgment against Chevalier, but the amount is suspended because of his inability to pay. The full amount will be due if the agency finds that he misrepresented his financial condition. Many consumers realize that crowdfunded projects involve "some uncertainty," Jessica Rich, director of the FTC's Bureau of Consumer Protection, said in a statement. "But consumers should able to trust their money will actually be spent on the project they funded." Chevalier was not available for comment on the settlement. Chevalier's original Kickstarter goal was $35,000 for the board game, described as a "Lovecraftian game of urban destruction." More than 1,200 backers contributed to his campaign, with many contributing $75 or more to get a reward that included figurines in the game. Chevalier provided several updates describing progress on the game, before cancelling it in July 2013. "Every possible mistake was made, some due to my inexperience in board game publishing, others due to ego conflicts, legal issues and technical complications," Chevalier wrote then. "No matter the cause though these could all have been avoided by someone more experienced and I apparently was not that person." Chevalier planned at the time to offer refunds to all backers. "I never set out to con anyone or to perpetrate a fraud but I did walk into a situation that was beyond my abilities and for that I'm deeply sorry," he wrote.